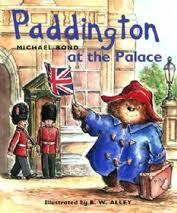 I recently presented my book review on Paddington at the Palace by Michael Bond, illus R.W for inclusion in the virtual collection of picture books by University of East London Primary PGCE trainee teachers….fantastic learning opportunity. It was a wonderful experience, even though it was nerve racking! A real privilege to be part of it.